– Call Function: GSM/GPRS 850/900/1800/1900 (2G)four frequency conversation, Dial, hands-free, phone records, phone book, Bluetooth phone. – SMS Local SMS: Text messaging on mobile phones Synchronous push by bluetooth (Only for Android phone). – Others: Alarm clock, anti-lost (Only for Android phone),sound record, sedentary reminder etc. – There is no APK for IOS phone, so five functions can't sync with IOS phone (1. Anti-lost, 2. Message reminder, 3. Notifier, 4. Remote Camera, 5. Bluetooth music), but all other function can be use normally like function which do not need apk and Bluetooth phone call sync. – Please full charge the smart watch prior to using it (about 1-2hours). 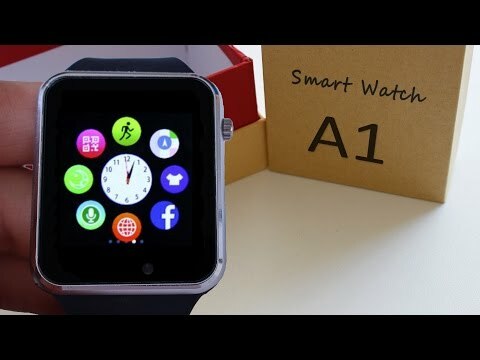 – The APP For Android Phone Is Called “Smart Watch”. It is Chinese If You Scan The QR Code In Watch To Get The APP. So please Search the APP from Google Store Instead. – This Watch Needs The SD Card To Save Pictures And Music. – Please don't wear it to when swimming, diving or taking a shower. 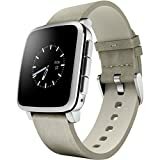 【Multi-Function】Dial via watch SIM or Bluetooth optional, Pedometer, Calories Calculation, Sedentary remind, Sleep monitoring, Remote photos, Music playing, Alarm clock, Two-way anti lost remind, alarm clock, voice recorder, muti-timezone. 【Muti-language】English French Spanish German Polish Portuguese Italy Czech Turkey Arabia Russian Persian Greek. 【Durable】Made of Sturdy and Soft Nano TPU85 avoid sweat during sports and movement, and guarantee the durability of the smartwatch. With an awesome display and hypersensitive screen touch, our watch supplies you the clear display even in the glare. 【Adjustable】Super light and comfortable, precision laminating process, Watch Strap is adjustable watch strap to any size length you want to fit your wrist. This is also a Smart Gift for You and Lovers & suitable to Any Age Persons. 【Compatibility】Messages received on the phone are out of sync with the watch and messages cannot be viewed on the watch.The watch is not waterproof, do not carry the watch for swimming and other activities.For ANDROID, all functions can be used.